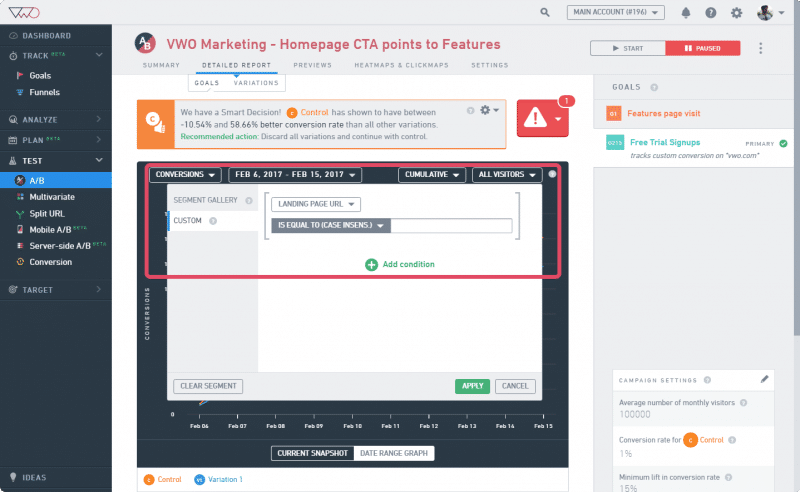 VWO reports segmentation (or post-segmentation) feature allows you to slice and dice your campaign reports for different visitor segments of your website. A segment-based report enables you to determine which campaign works best for a specific visitor segment. To view a segmented report, you need not define segments before running the campaign. You can simply create a segment on-the-fly to view a custom report for the specific segment. In the test details page, select Detailed Reports and click Goal or Variations as appropriate. In the graphical reports section, select the All Visitors option. Select a visitor segment for which you want to view reports using the Segment Gallery option. To define a custom visitor segment for the report, select Custom. Click Done to apply the selected segment to the campaign report. The report will be updated with data matching the selected segment. To remove segments applied on a report, click Clear Segment. 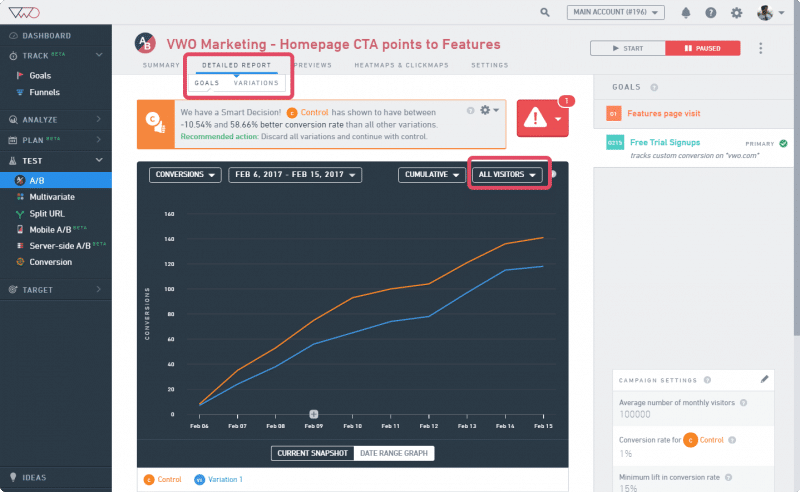 This will revert your campaign report to the original format (without any segments applied).